What is Telehealth you ask? Telehealth or Telemedicine as it is sometimes called is using technology such as a computer or mobile device to engage in a doctor visit. Though new to many, Telehealth has been in use for a number of years and is now becoming a popular alternative to the in office visit. During a Telehealth visit a patient both hears and sees either Dr Ruiz or a Certified Health Educator from the comfort of their home. With the adoption of Telehealth becoming more and more accepted, most insurance companies have now started covering such visits. A person interested in using this convenient system will get assistance with connecting through their computer or mobile device. There will also be connected devices available such as Blue-Tooth enabled Scale, a Blood Pressure cuff, and an Activity tracker which will send your personal data directly to your medical profile for Dr Ruiz to review. These devices will make it easy for the patient and Dr Ruiz (or trained staff) to engage in a virtual office visit. Imagine not having to drive in traffic, taking time off of work, or having to worry about what to wear to the Doctor’s office. All of this convenience through a HIPPA compliant Telehealth platform (Meaning a private, secure connection between your health care provider and yourself). Additionally, Dr Ruiz and his medical staff will be able to recommend medical grade nutrition products which can be shipped to your doorstep. Initially, Dr Ruiz and his team are using the Telehealth interface for their weight loss and nutrition programs with the goal of helping people live healthier, happier, lives. 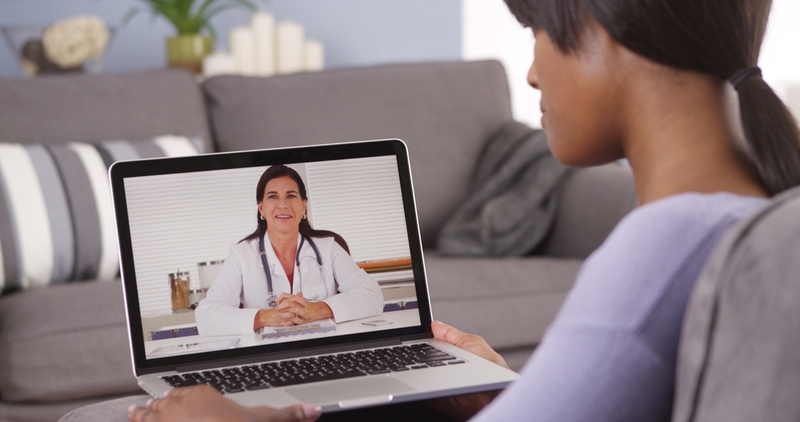 What does Telehealth and Telemedicine mean? Both describe a way to delivery and receive healthcare through telecommunications such as a phone or computer. Typically it is seeing and hearing your healthcare provider through a device. Think of Facetime with an iPhone or Android phone. What do I need to have a Telehealth visit with my doctor or nutritionist? A mobile device or computer with a camera and audio connection. Basic home wifi is generally sufficient. 20mb internet speed is typical with most homes. Do I need to be smart with computers to have a Telehealth visits? People of all ages have used Telehealth. If you’ve ever used Face-time or Skype then you can enjoy Televisits. Can I use my insurance for Televisits? Most major insurance companies provide Telehealth coverage with a PPO/EPO/POE type policy. Medicare may be able to cover Chronic Care conditions as well. Check with your doctor or healthcare provider to be sure. When can I have my visits and how long do they take? Dr Ruiz and his clinics with be working in cooperation with InhealthOnline.com. You can call our office at (626) 572-8692 and ask for an appointment time that works with your schedule. To sign up online please go to live.truvanta.com and simply request an appointment. Be sure to let them know your coming from a Dr Ruiz office or website. For more information please contact your local Dr Ruiz office or you can send an email inquiry to info@inhealthonline.com for additional, specific, information.